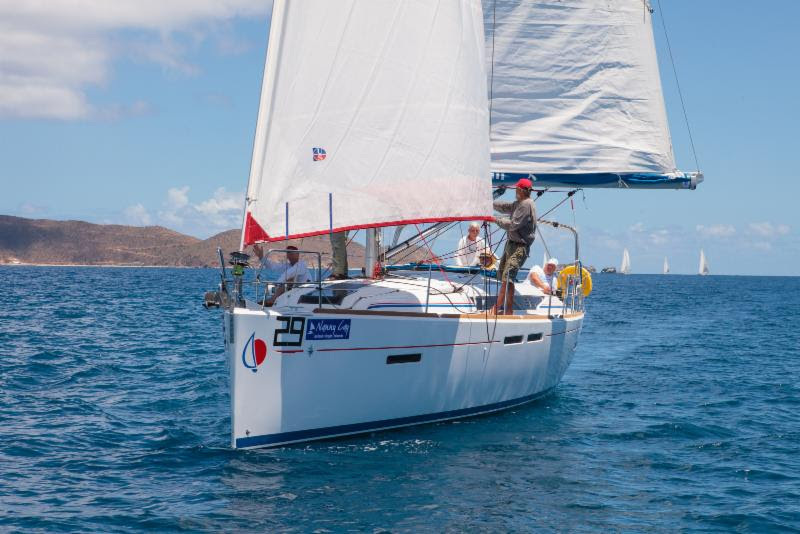 Tortola, British Virgin Islands – March 31, 2018 – At 87 years old, Robin Tattersall is the only skipper in this year’s edition of the BVI Spring Regatta to have taken a bullet for each of the races he and his crew have sailed. Racing in CSA Bareboat 3 with his crew on Sunsail 41, Gatos del Sol/Makin’ Memories, Tattersall said while it’s the first time he’s raced this boat, he has a good crew around him to tell him what to do. Conditions were light overall with 10-12 knots on the Sol course and 8-10 knots on the Norman course, from a north easterly direction. Sunscreen – lots of it – was the call for the day as sailors raced under brilliant sunny skies. The lighter air today favored some, resulting in shifts on the leaderboard. 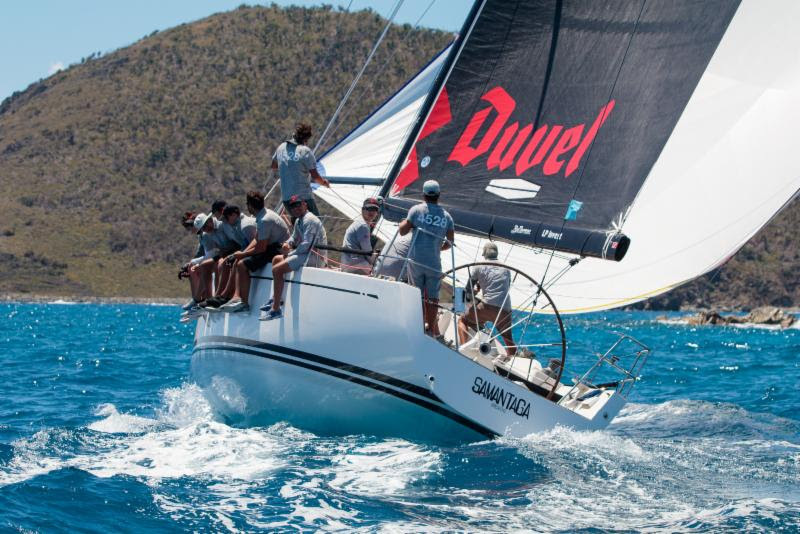 In CSA Racing 2, the Belgian team on Samantaga, a Swan 45, made good on yesterday’s promise to win today to take 3 bullets and an 8th place, moving into first. 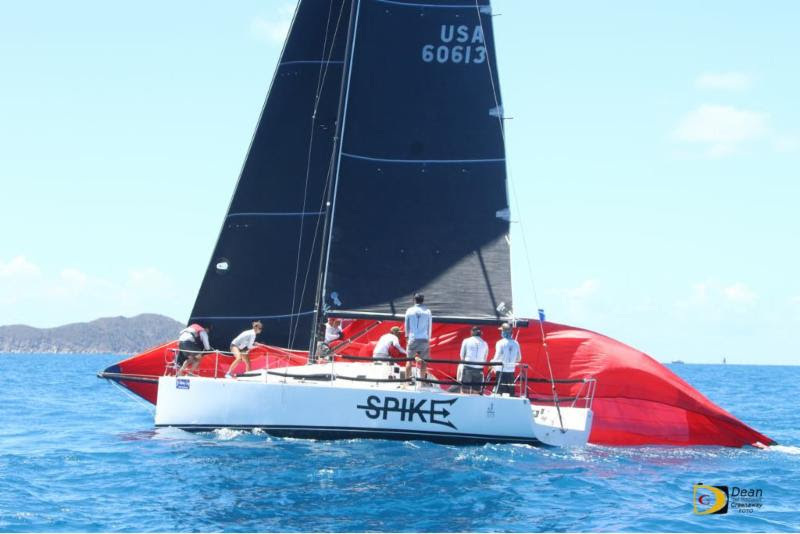 Blitz, the King 40 skippered by Peter Corr is in second place. The competition is fierce but friendly between good mates in the Jib and Main class. 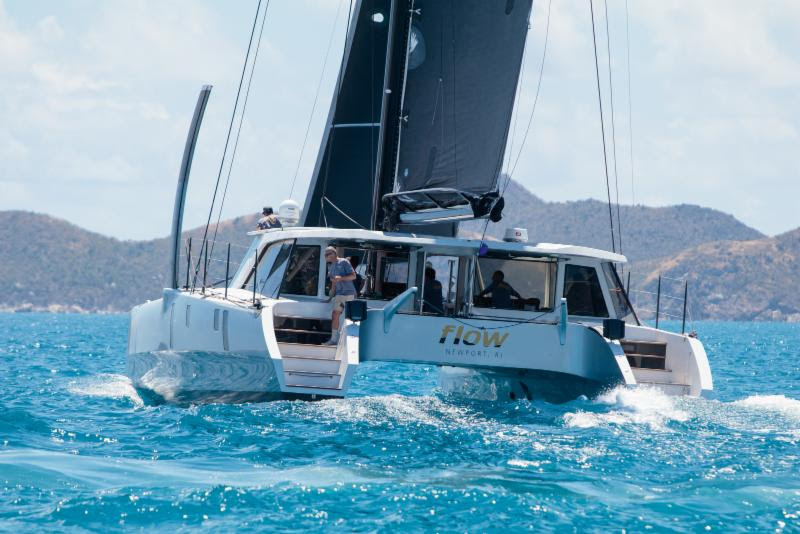 Long time BVI Spring Regatta participant Jeremi Jablonski, skippering his Hanse 43 Avanti is in first place with 7 points, while Jose Teixidor on the GS 52 Cachondo is in second with 8 points, and Luigi Miranda owner of the GS 52LLC, is in third with 9 points. “We had very tight racing with not much wind which made racing challenging,” Jablonksi said. “We were finishing 10-15 seconds apart, sometimes less. It was a day of typical BVI racing trying to stay close to shore – rocks, shallow water and we got a round of applause as we passed snorkelers near the Indians. 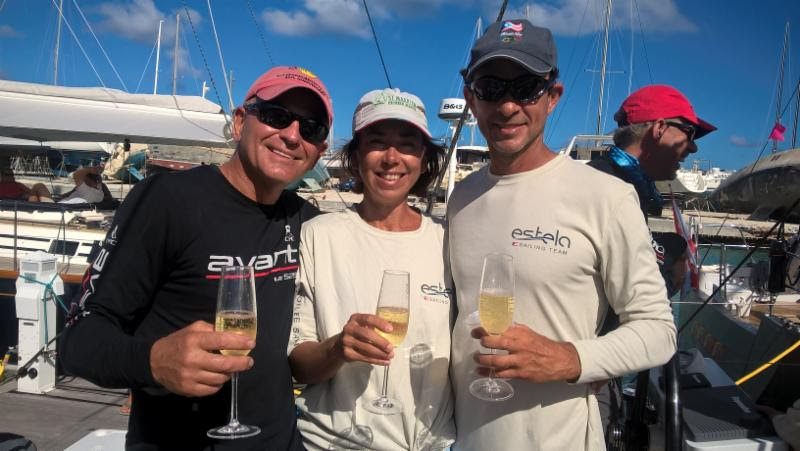 It was especially exciting racing with and against great friends.” Jablonksi, with a glass of champagne in hand aboard Estela at the end of racing, said he wouldn’t be able to keep up with the fleet if he didn’t also start the racing day at 9am with champagne.